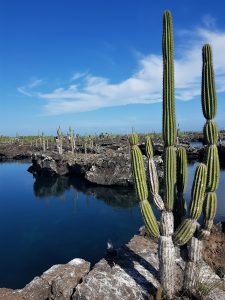 Isabela was the third and last island we visited in the Galapagos. This less visited island was also an amazing stop. 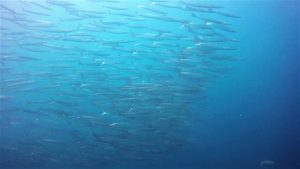 The highlight here was once again the abundant underwater life, it continues to amaze us. It is such a shame we will have to leave so soon. 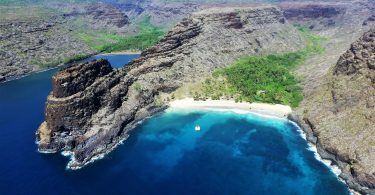 The great news is that our next stop is the French Polynesia! 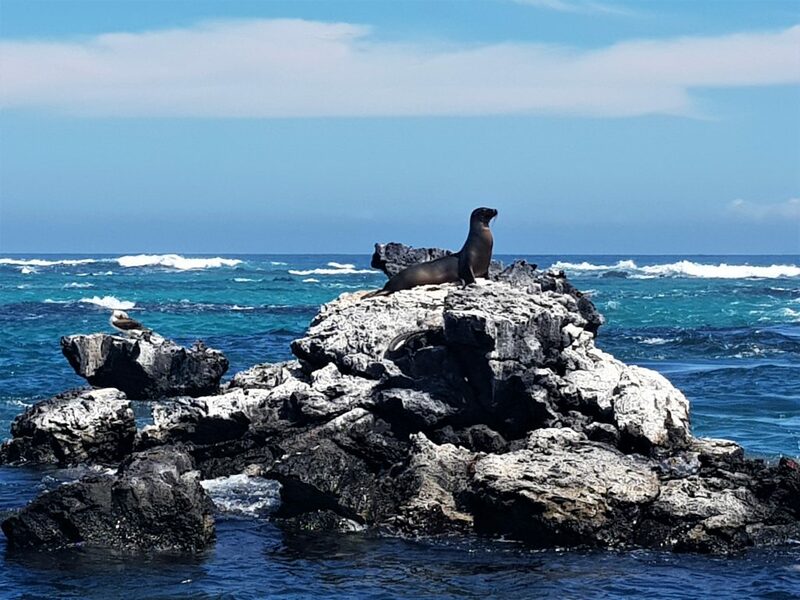 Upon our arrival in San Cristobal sea lion greeted us. 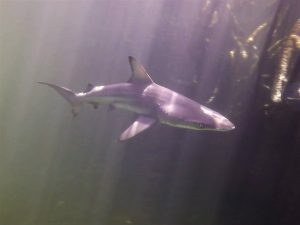 In Santa Cruz it was the black tip sharks that came to check us out. 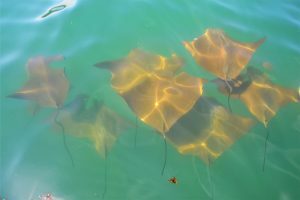 Here in Isabela a huge manta ray welcomed us. 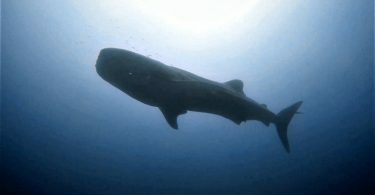 It was so big that at first we thought it was a whale shark. Only when we got closer were clearly saw its wings. How cool is that? 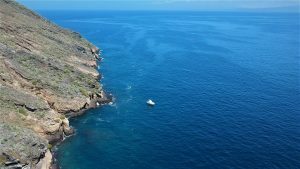 The diving spot close to Isabela, Turtle island, is a sight that looks from another planet. 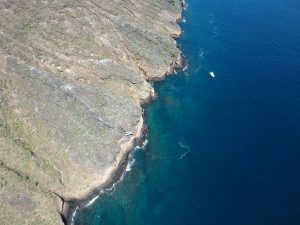 It’s a submerged volcano and only a “half moon” of it is above the water. The closest thing similar to this place I can think of is Santorini in Greece. However this one is uninhabited and in the middle of nowhere. 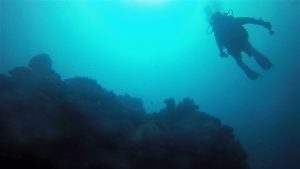 We were super lucky again with our dive. 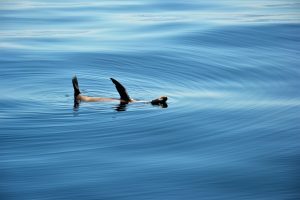 Sea lions played with us, a couple of mantas passed by, huge schools of fish and again we were visited by another huge whale shark. Unfortunately our camera bailed out on us this time so we don’t have much to share. Only memories. 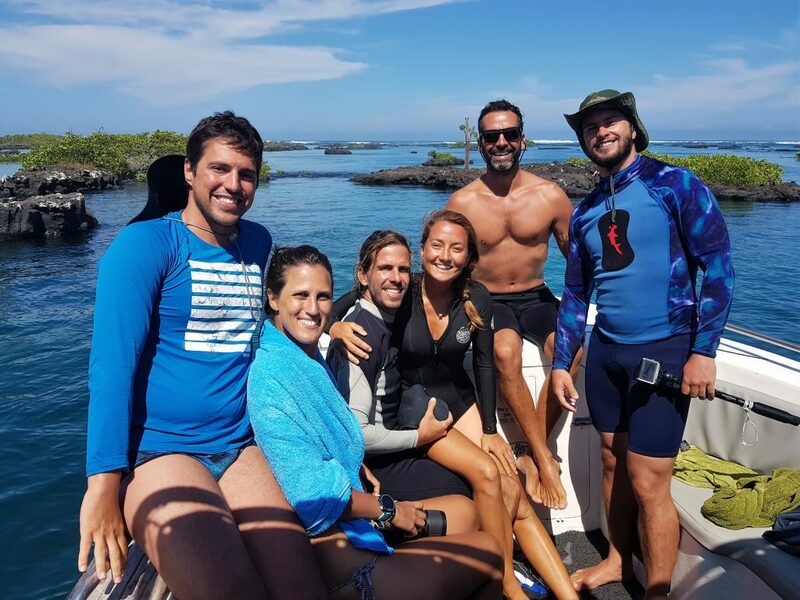 Everyone that comes to Isabela do the classic “The Tunnels” snorkeling day tour. We were no different and it is totally worth it. Just the boat ride is already beautiful. Already from the boat, without going into the water you see lot’s of sharks, golden rays and manta rays. 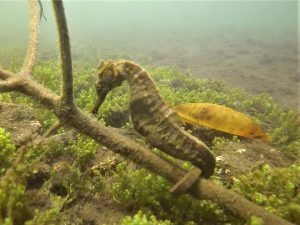 Then you snorkel with sea turtles, black tip sharks, white tip sharks and for our first time ever, we saw a sea horse on the wild. After the snorkel we went to the proper “Tunnels”, a true amazing place. In a nutshell this place is a bunch of tiny arid islands with cactus on top and infinite waterways around them. I could picture an amazing 007 jetski chase around this place. Of course a really stupid thing to do with all the marine life, birds sanctuary, etc. But I could certainly see that happening. The perfect way to understand this place would be with a drone shot from way above, but we were not allow to fly it there. 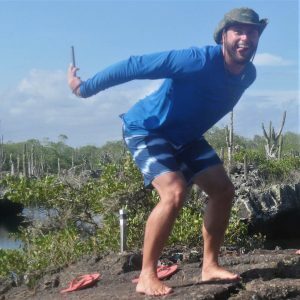 By the way, if you are a bird watching type of person, like my cousin, this is a perfect place to see the friendly blue footed boobies. During mating season the males do this really cool dance and open their wings to find their partner. It’s quite entertaining to be honest. It you can’t find a video on YouTube write to me and I can give you the contact of my cousin. He can imitate them quite well. 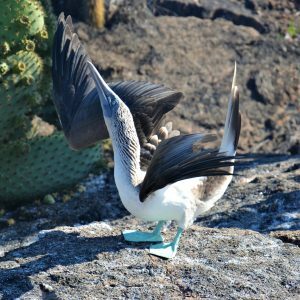 On a more serious note we would like to use this last Galapagos post to mainly thank Galapagos and Ecuador. We were really blessed to have spent a few days around here. 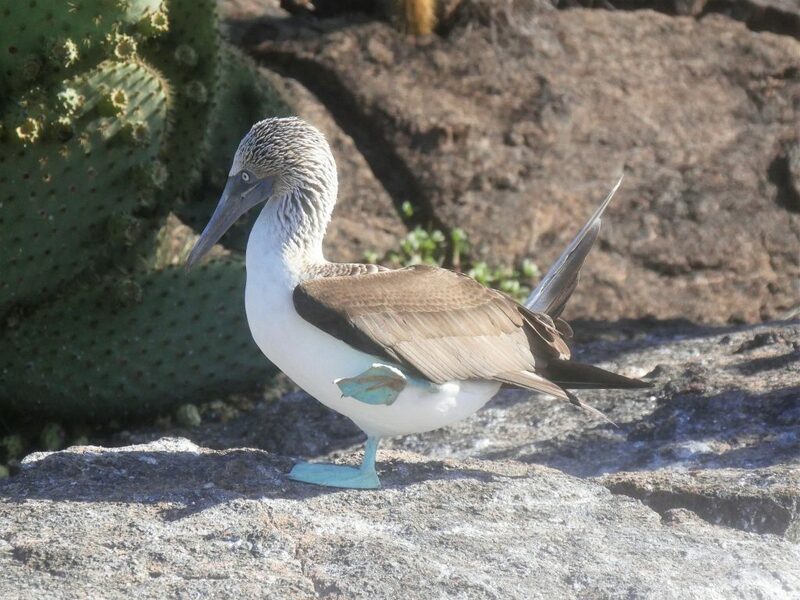 For hundreds of years Galapagos has inspired and taken care of many seaman before us. And with us it was no different. 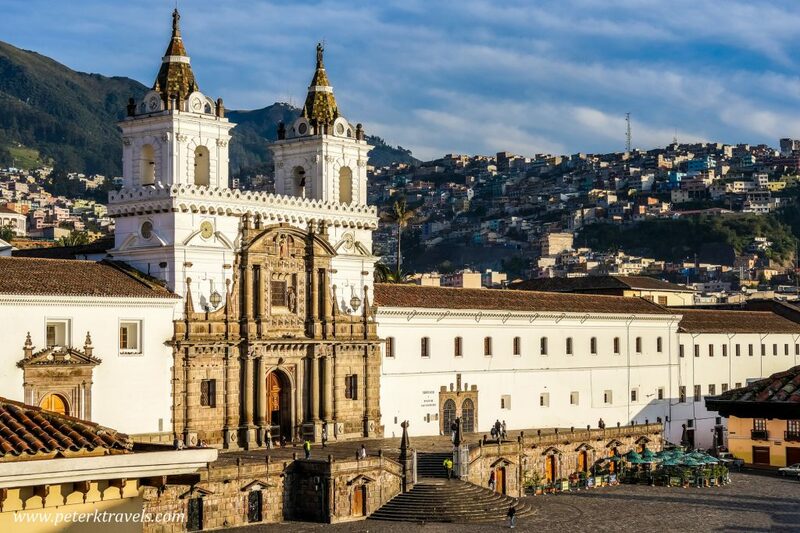 For some reason, that only the universe can explain, I was “forced” by family reasons to leave Galapagos and visit Quito for a couple of days. Ecuador is not an extremely rich country and if you step foot in Quito this becomes quite clear straight away. I am glad I went there. It got me thinking again. The great majority of this countryman will never visit these amazing islands. 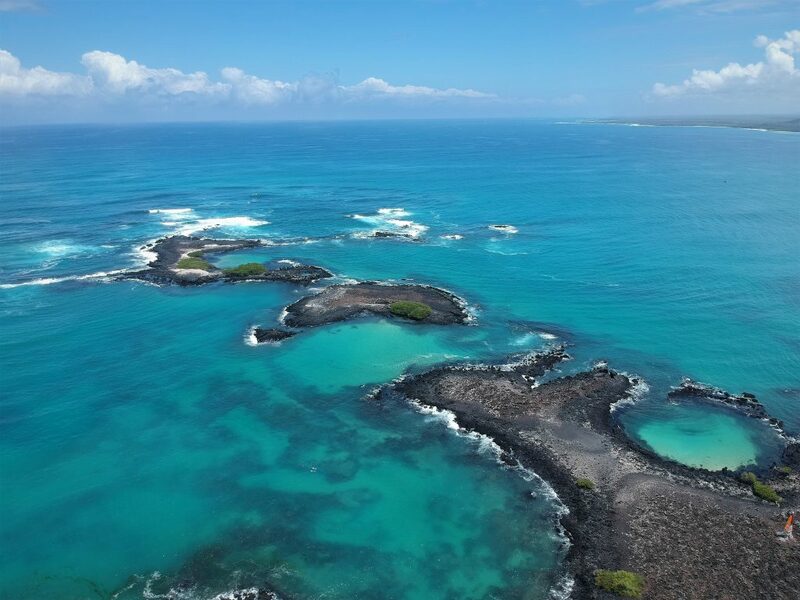 Even less Ecuadorians will be able to enjoy the incredible underwater treasures that the Galapagos holds. So we also would like to thank Ecuador, a humble yet proud country, who has been able to take great care of these islands. They are caring for this World Heritage Center. Not only for them, but for the rest of the world too. As a human race we have left a huge scar on these islands. As an example, it is estimated that more than 200.000 giant tortoises have been killed since we first step foot here. Some of the species have already been extinct. 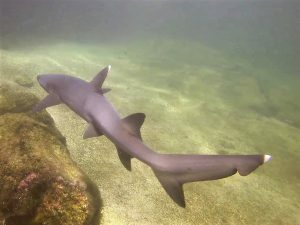 Others say that illegal long line fishing and shark finning is still happening around Galapagos. While I am usually pessimistic about the human race, I believe that, as Darwin, all species evolve and so do we. I just hope that we are evolving in the right direction. Some projects and actually kids from Galapagos helped to give me hope that we are going in the right way. In Quito, I visited the church of San Francisco, protector of animals. 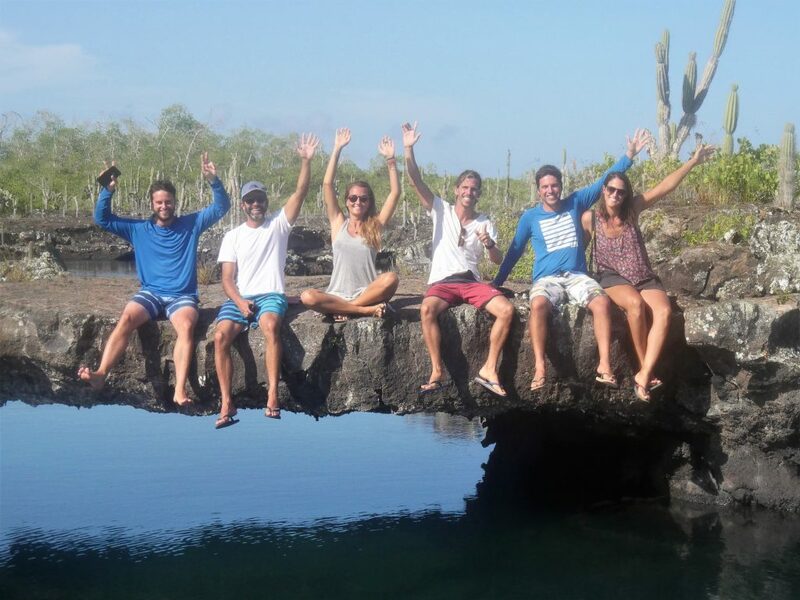 I spent some time there thanking all of our journey so far and for the amazing days we spent in Galapagos. 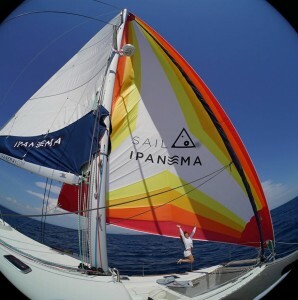 I also took some time to ask for protection of Ipanema and our crew during our longest crossing yet, just ahead of us towards the Marquesas islands. But above all, I asked for the protection of the animals. 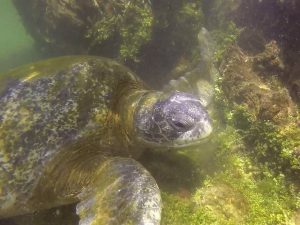 In the Galapagos it’s possible to get really close to even the wildest animals. You may get inches away from them. It’s such an amazing experience. They are not scared of humans. Like if they held no hurt feelings of what we did to them in the past and what we still do in the present. Just like Feijao holds no grudges towards us, regardless if we leave him behind, all day waiting on the boat. He will always happily wag his tail when we return. And so, I hoped the future generations can have the incredible experience we had enjoying the islands. 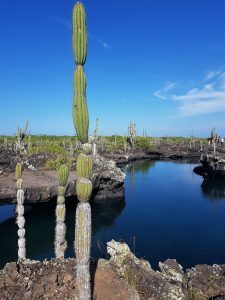 Maybe even a better one if we continue to take care and regrow the system around Galapagos. Finally, this stupid dreamer, prayed that technology could evolves quickly enough that at some point soon enough we won’t have to kill billions of fishes, chickens, cows, pigs, goats, ducks, etc. I hope that we can find a way to replicate meat at a reasonable cost without having to take billions of lives to feed us, nor bring a huge financial burden to people. I hoped that some day we will be able to protect beautiful hammerhead sharks and giant tortoises, but also “common animals”. Just a stupid dreamer. Well, that was what I hoped for while in that church in Quito. 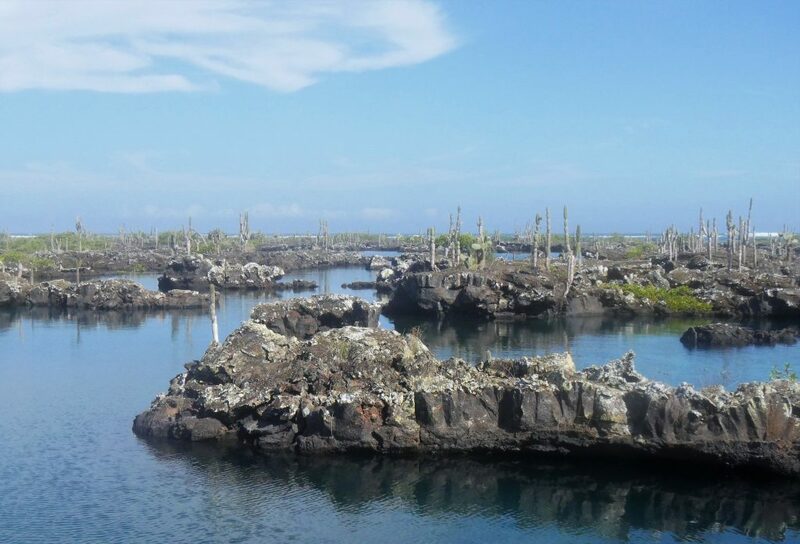 We do highly recommend responsive tourism in Galapagos and to support the NGOs established around the islands. I see some people, including great friends and people who I highly respect, try to avoid paying taxes or park/island fees. 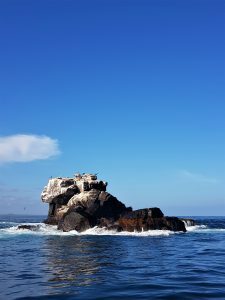 I think that the responsibility of taking care of Galapagos should not be bared only by Ecuador, as they also have other basic priorities in the country. This should be a responsibility from all of us, mainly the non-Ecuatorian tourists. These fees are a good way to spend our money. We can’t guarantee the money will be properly invested but we can do our part and hope others will do theirs. From what I observed, they are doing an amazing job. Congratulations Galapagos and Ecuador. Sorry for such a long post but I felt like writing it. 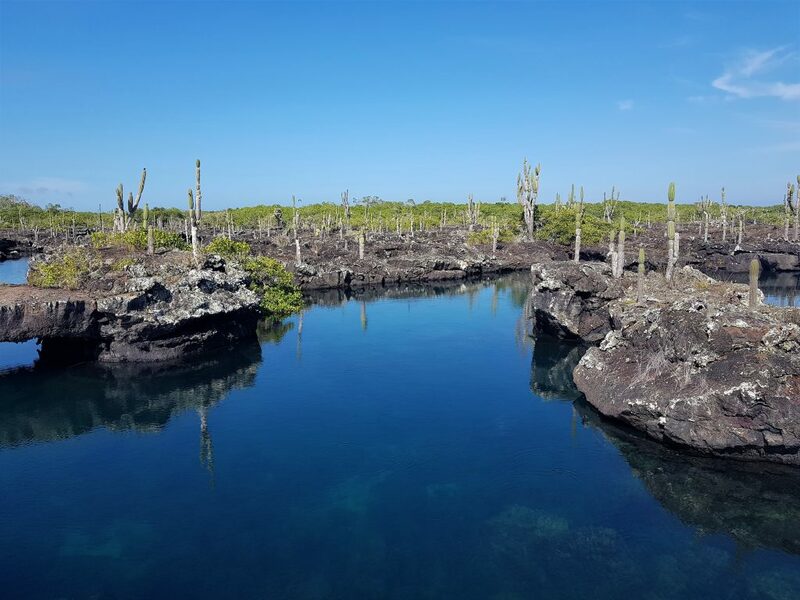 Galapagos we are going to miss you. Big time.